My nephew was placed with me on an emergency basis and I am receiving an emergency stipend from my county while I complete Resource Family Approval (RFA). Is there other funding available? Until recently, caregivers who accept placement of a child under an emergency basis or compelling reason did not receive foster care funding until they completed RFA. Those caregivers would only receive funding through CalWORKs, and other county optional payments such as emergency stipends. 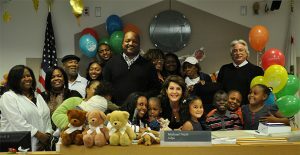 AB 110 and AB 1811, commonly referred to as emergency caregiver funding, now provides foster care funding to families caring for a foster child while completing RFA. You can read more about the emergency caregiver funding here. ← The changes implemented by Continuum of Care Reform (CCR) require each child to have a child and family team (CFT). If a child has a caregiver, is that caregiver a required participant of the CFT?